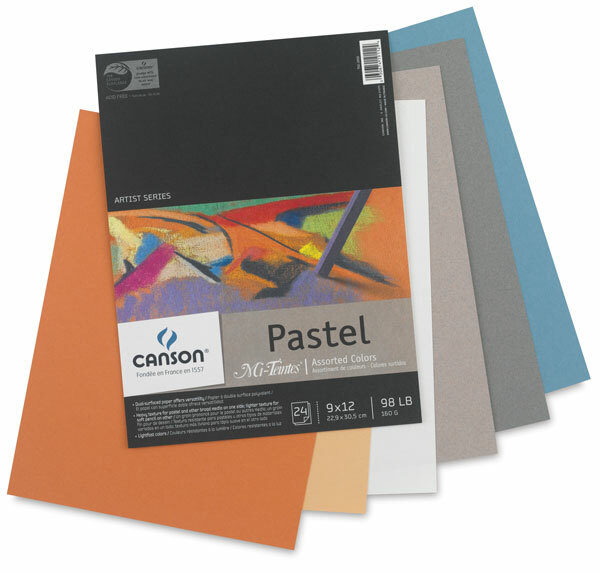 For pastel, oil pastel, chalk, pencil, watercolor or acrylic work. Vellum texture on one side and flat surface on reverse. 98 lb (160 gsm) sheet, 66% rag content, colorfast. Pads have 4 sheets each of 6 colors. This selection contains four sheets each of the following colors — 335 White, 470 Champagne, 384 Buff, 426 Moonstone, 431 Steel Gray, and 490 Light Blue.